The School Nurse Organization of Washington (SNOW) is comprised of ten geographical areas. Each area has an elected representative who serves as a member of the SNOW Board of Directors. 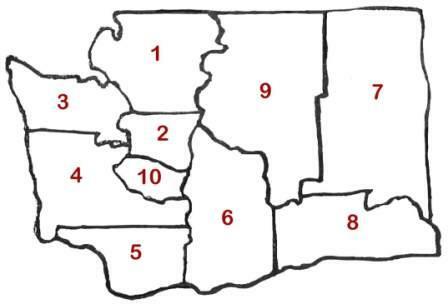 The only exception to this is Area 2, which encompasses King County and has 2 representatives due to the large number of members in this area. Area Representatives promote membership within their areas, conduct meetings to discuss SNOW business, and may provide continuing education opportunities.